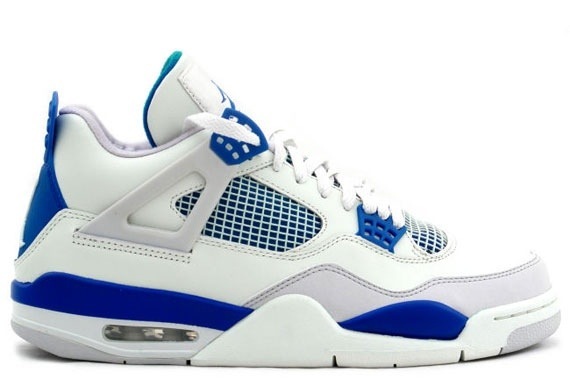 The Air Jordan 4 Military Blue is one of the most popular colorways on the Air Jordan 4 silhouette. After retroing a few times, the sneaker only seems to come back better with each release. The white leather upper makes for a clean look as grey suede accents and military blue finishes compliment the overall appearance. What some may think is a grail among most sneakers, this clean look will be a great addition to anyone's rotation.